You Guys!! It’s here! 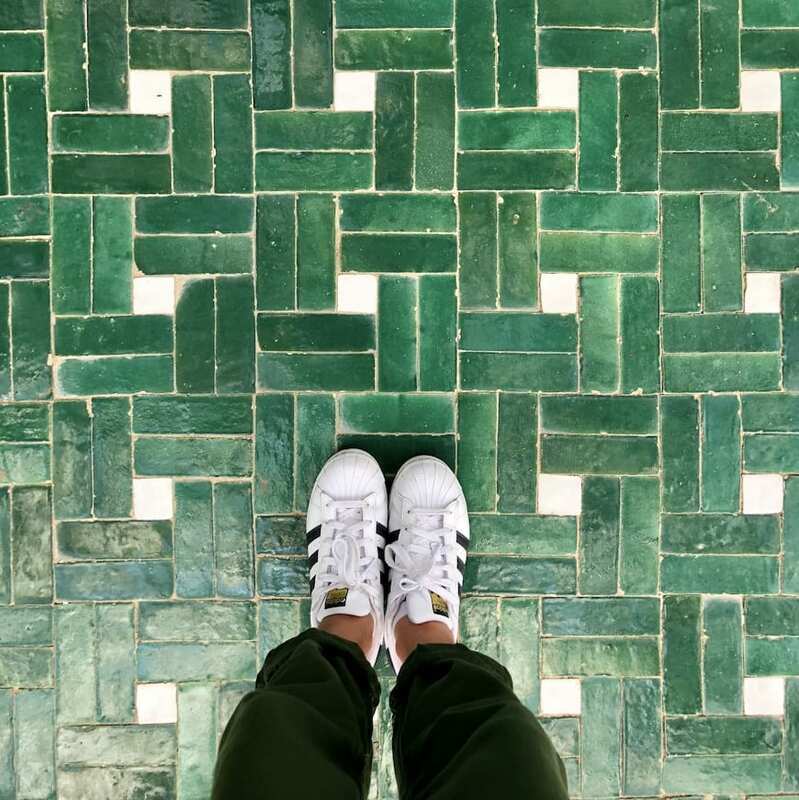 Took me a minute to put it all together but here we are – Gaby’s Guide to Morocco! Things have been insane since we got back from Morocco last month. So I apologize in advance that it took me so long to get this up. But… better late than never! Where to even begin. First things first – I’m an expert at inviting myself on vacations. 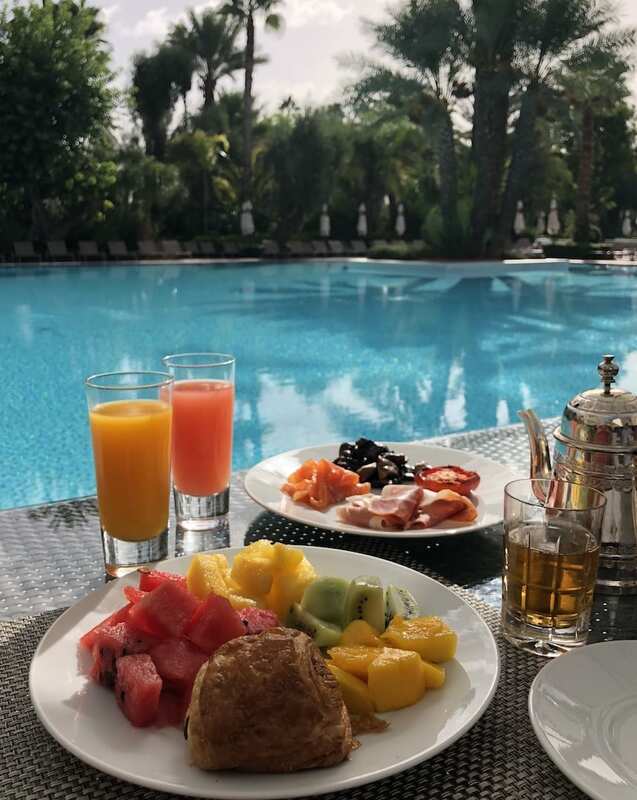 My parents were heading to Malta for a tennis tournament and they decided to do a few weeks in Morocco on the front end because YOLO?! 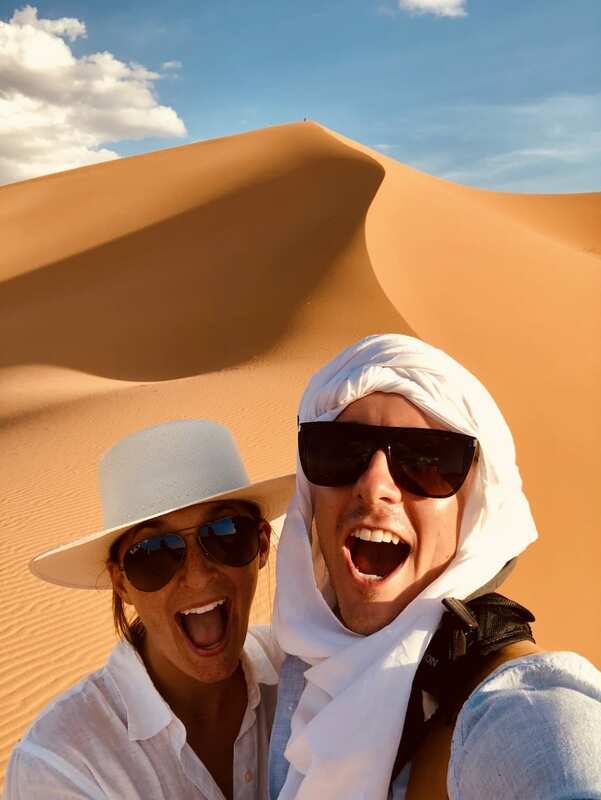 When they told me they were heading to Morocco, I said…. “NOT SO FAST… we’re coming with you.” I promptly booked our airfare, added a few extra days in Marrakech and decided Paris was a good idea too. 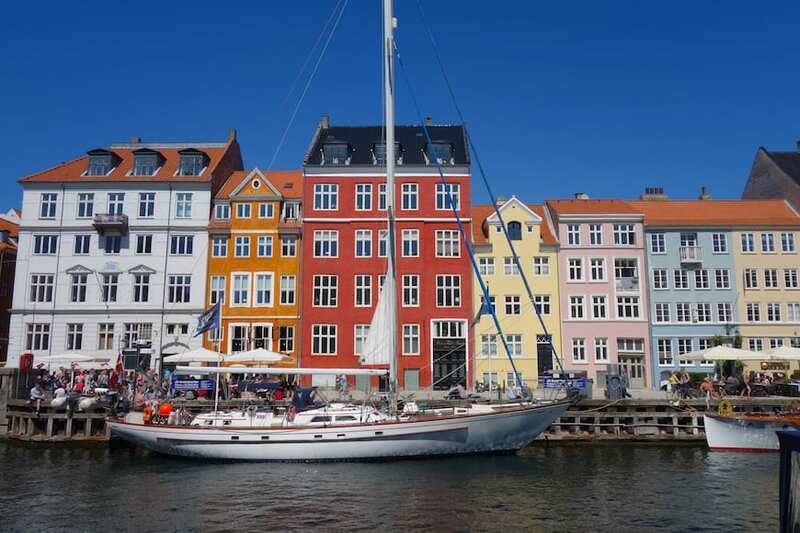 So… what you’ll find below is our itinerary with a few can’t miss items, all the vendors and hotels we used and a LOT of photos! 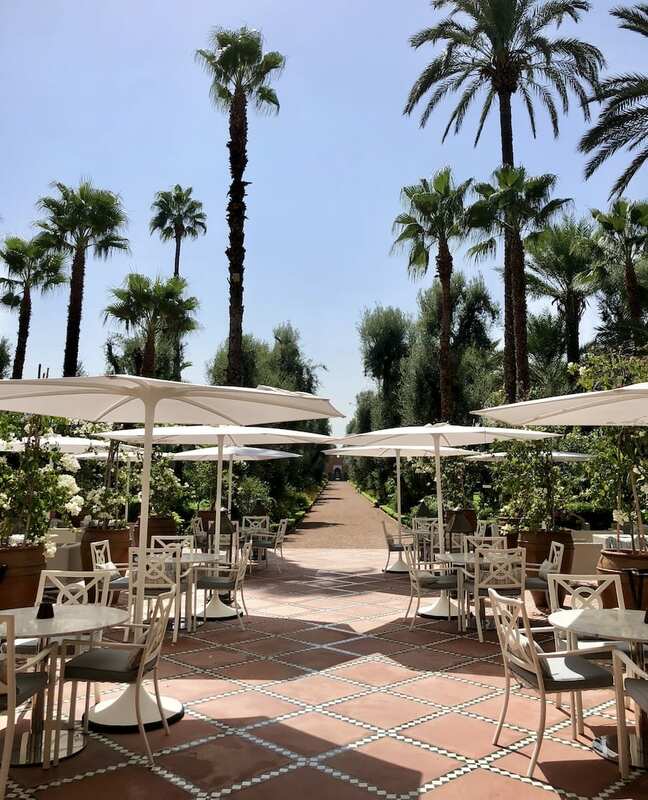 We got to Marrakech a few days ahead of my parents to do some major relaxing at our hotel and an unforgettable food tour. Best decision we’ve made. 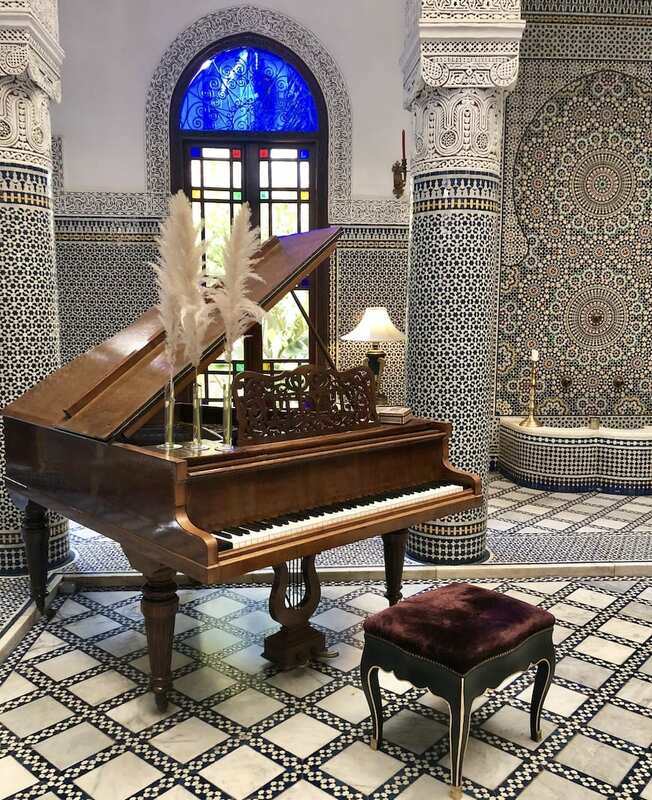 Our hotel, La Mamounia, was one of our favorite hotels we’ve ever visited! Between that and Londolozi, we’re spoiled for life! We spent a TON of time at the hotel spa getting massages, facial and a Hamman. Hamman is basically a Turkish bath and you’ll walk outta there feeling like a brand new human! Worth it. After 2 days in the spa and at the hotel pool, we ventured out to do a food tour through the medina. 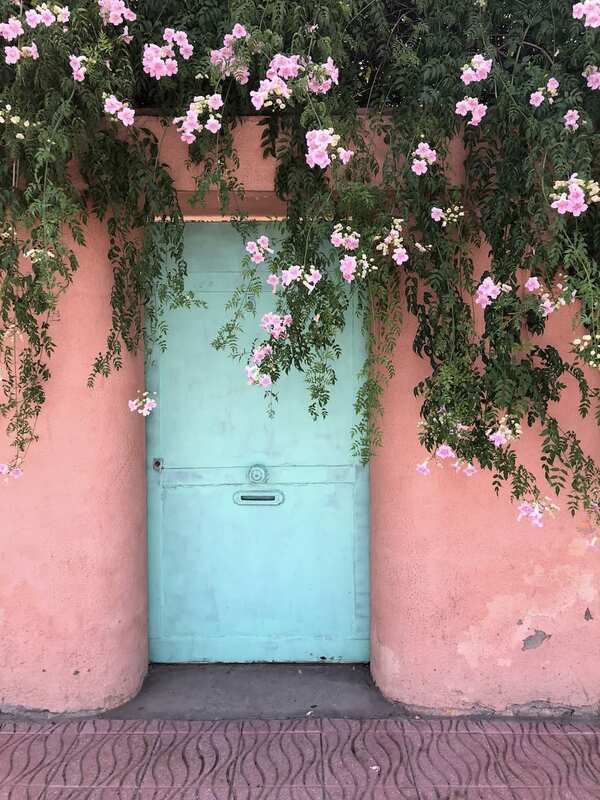 It was easily our favorite part of exploring Marrakech. The medina is BUSY to say the least so having a guide who totally understood what we were looking for (food) was key. 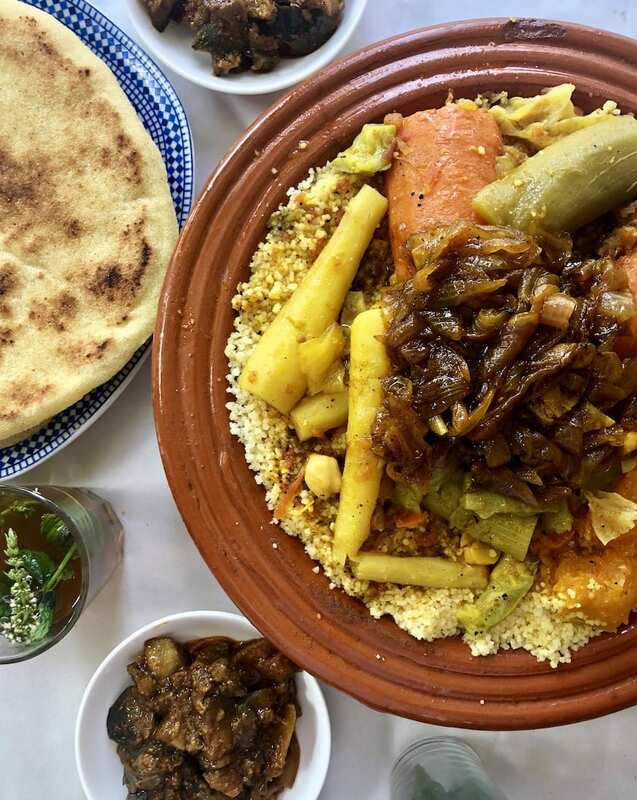 We ate our way through different vendors, trying all the traditional Moroccan food. Mint tea, slow roasted sheep, all the olives I could possible imagine and more. Truly one of the highlights of our time in Morocco. Once my parents arrived, we hooked up with our tour guide for the next week via Wilderness Travel and did some major work. We’re traveled with Wilderness Travel before and always have an incredible time (also NONE of this was sponsored – just FYI) We always do the private journey so it’s just our family / friends on our group and we can do things at our own speed. 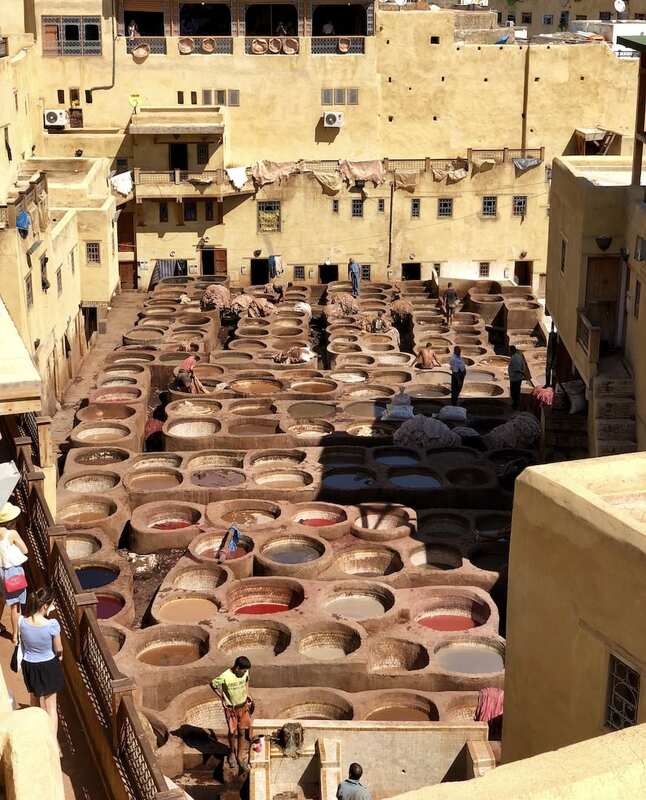 After we were all settled, we went back to the central square, Djemaa el Fna, bought all the pillows and the rugs, toured various souks, saw the Marjorelle gardens & Berber museum. There were easily 30k steps happening per day which is fantastic because we ate ALL THE FOODS. Our favorite meals outside of the food tour were Naranj and Mona. Neither were traditional Moroccan but we were eating so much Moroccan food during the day, these were welcome Lebanese inspired meals for dinner! Word to the wise – the Marjorelle gardens are stunning but if you don’t go EXACTLY when they open they are so busy it’s not as fun. 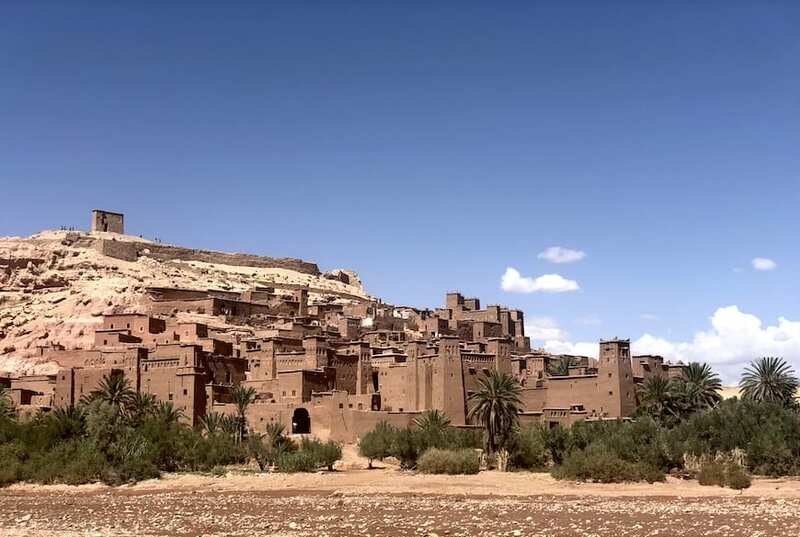 After departing Marrakech we drove to Ait Ben Haddou. It’s a citadel-like village where scenes from Lawrence of Arabia, The Man Who Would Be King, and Gladiator were filmed. I frolicked around and pretended to be in a movie, obvi because why not?! After a quick stop it was onto the spectacular Dades Gorge. The Dades Gorge is famed for its scenery of limestone cliffs, lush fig orchards, and eroded rock formations reminiscent of the red-rock canyons of the American Southwest. Thomas was in photographer heaven! Hotel accommodations were through Wilderness Travel! In the morning we hiked around the Dades Gorge and then drove to the desert frontier town of Erfoud. En route we stopped by the Todra Gorge, a narrow canyon with tiny villages and fertile fields set along a river. The rock walls of this gorge rise to 900 feet and attract climbers from around the world. I’m not much of a climber so we hiked along the bottom before heading off to lunch in a nearby village and eating my new favorite Moroccan salad which is coming to the blog soon! Hotel accommodations were through Wilderness Travel! 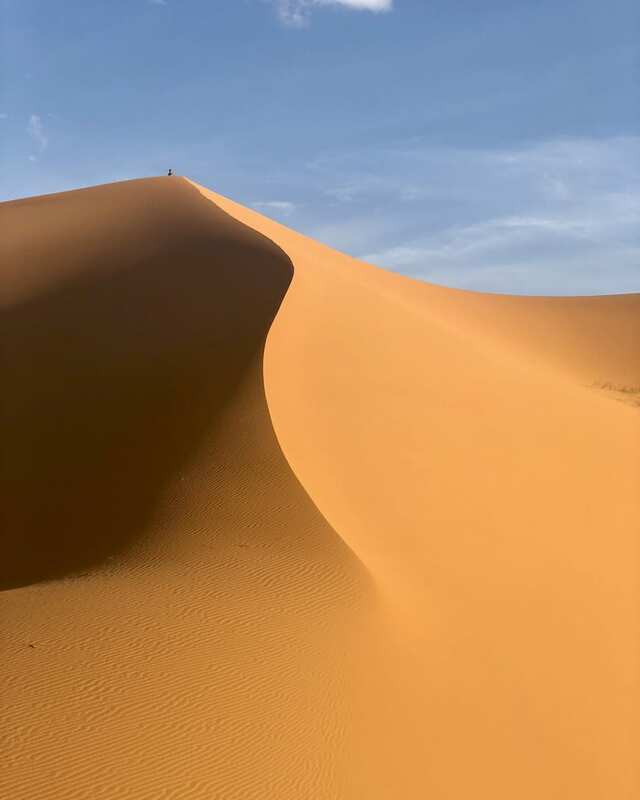 From Erfoud, we ditched our spacious and air conditioned bus and grabbed a dew 4WD jeeps and made our way across the desert to the village of Merzouga, set at the foot of Erg Chebbi, the highest dunes in Morocco. 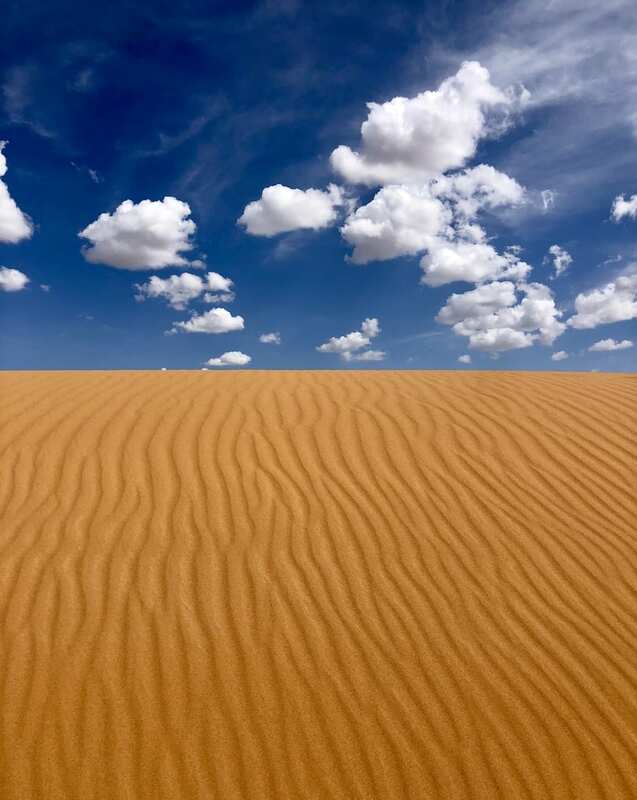 Erg Chebbi, the dunes of the Sahara, are one of Morocco’s greatest natural wonders. It’s vast, golden, rolling sands endlessly shaped and reshaped by the wind. 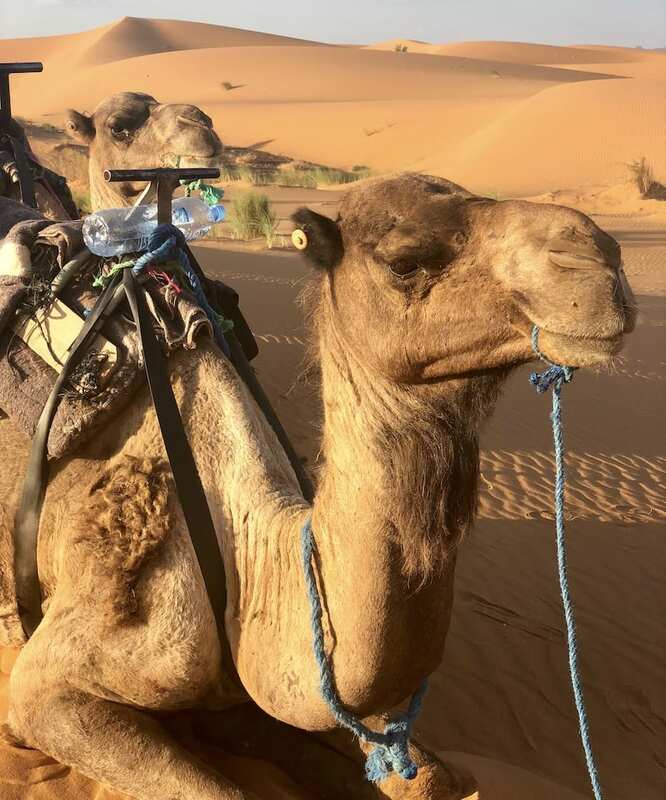 We hooked up with our Berber guides to ride camels for for the afternoon and tour the Sahara. We did some dune hiking and if you missed that expedition, it’s saved on my IG story and it’s hysterical. That afternoon we got to hang at our private Sahara Desert Camp. And by private – I mean PRIVATE. Not another soul for miles. No other tourists, nothing. Just our family and the most gorgeous tented camp I’ve ever seen. The canvas interiors were hung with bright fabrics and carpeted with richly-hued Moroccan rugs (it felt like a sheik’s hideaway). Our beds were covered with cozy duvets—perfect for the freezing nights in the desert—and the most plush throws you could image. Each tent had it’s own copper plated sink area to brush your teeth. And then there are separate shower and toilet tents with HEATED WATER – jackpot. 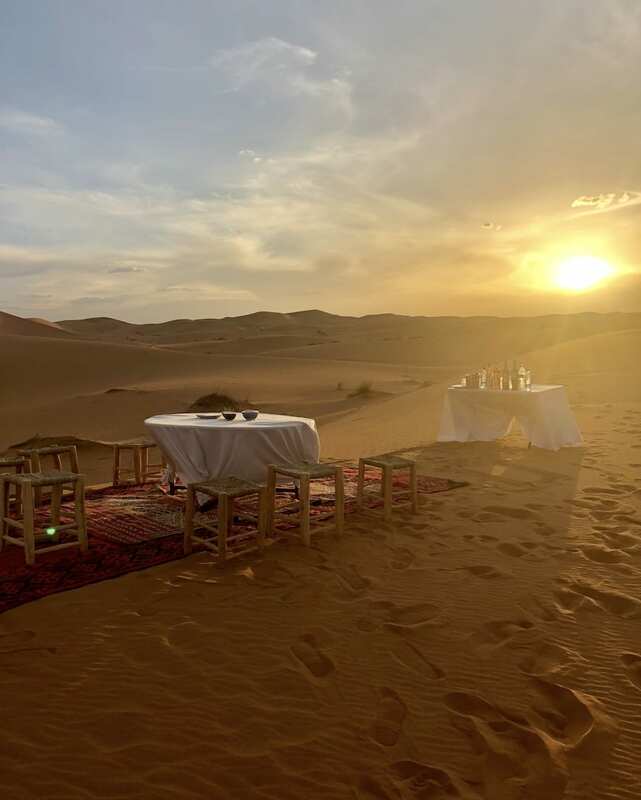 Meals were served al fresco and dinner was served after a sunset viewing happy hour on the dunes with local musicians. Picture perfect. 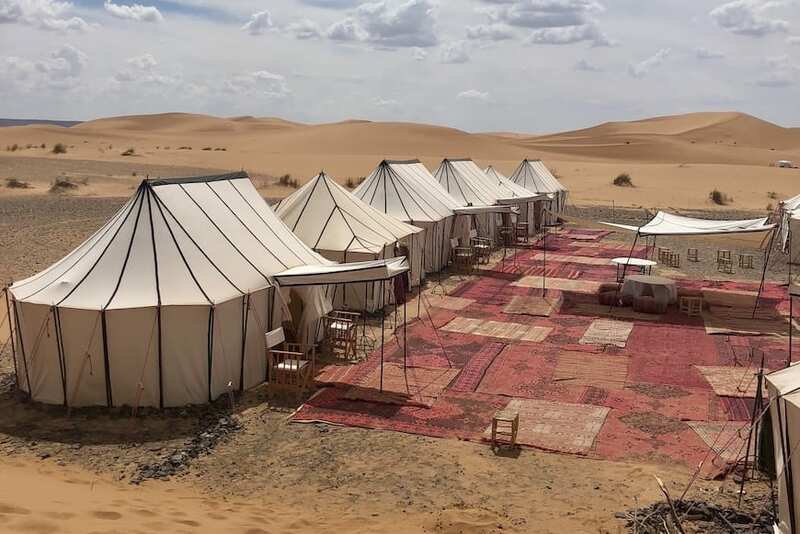 Private Sahara camp was booked via third party through Wilderness Travel! I tried to get you guys the name but no can do! On day 8 we woke up at the crack of dawn to watch the sunrise over the Sahara and then settled into breakfast at camp. After an egg tagine and crepes, we grabbed the 4WD jeeps and headed out. 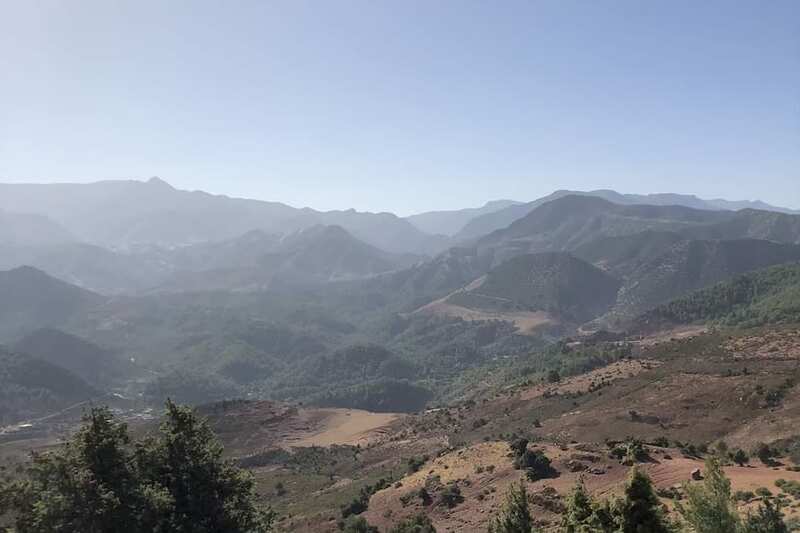 We ventured through the more fertile parts of Morocco dotted with wheat fields, vineyards, and olive groves on our way to Moulay Idriss, a rural hilltown named for Morocco’s most famous saint. Later we headed to Volubilis, a Roman ruin surrounded by rolling farmlands. Volubilis was Rome’s provincial capital in Morocco, with structures dating to the second and third centuries AD and an incredible array of mosaics. After that we hopped back in the car and continued to Fes. 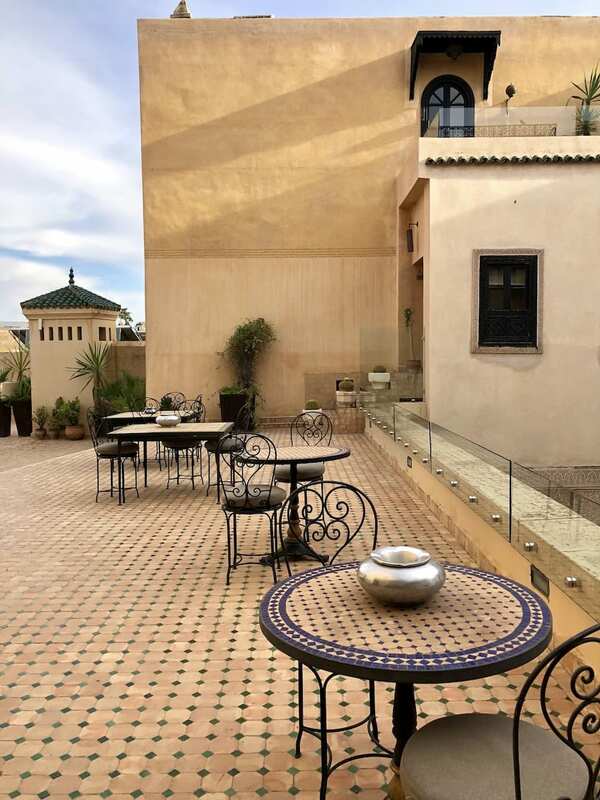 Riad Fes, a member of the Relais & Chateaux hotel group – one of my favs ever, is tucked away behind the medina and stunning! The lobby, restaurant and grounds are in a word: perfection. After seeing everything there was to see in Fez we hit the road for Casablanca. There we said goodbye to my parents and they went onto Malta and we went back to Paris! Casablanca is HUGE city with traffic unlike anything I’ve ever seen. 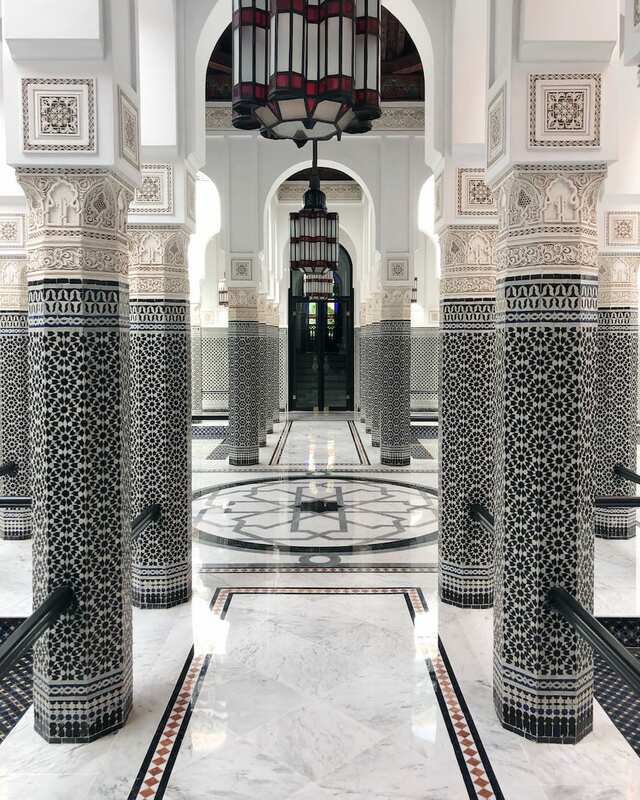 We spent a grand total of 2 hours in the city, ate at Rick’s Cafe and saw the Hassan II Mosque. Perfect way to end the trip! 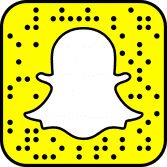 Any questions – things I missed – shout them out in the comments and I can add to the post! Thanks for the great guide and pics! 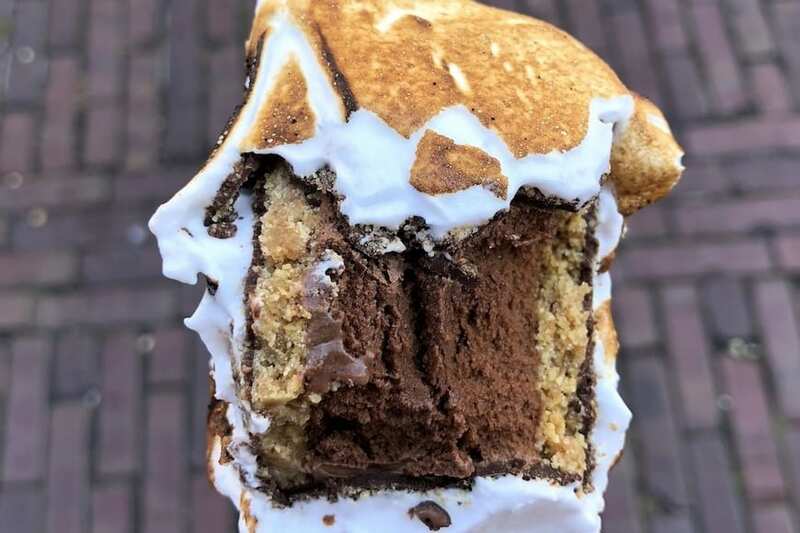 The link to the food tour doesn’t seem to be working – any chance you can share? First of all amazing pictures. I’m putting Morocco on my list. Everytime I follow your lead on places to go and eat they are terrific so thanks. And second I can’t even imagine how fun it must be to travel with your mom and dad…they are the best. Happy Holidays! THANK YOU! 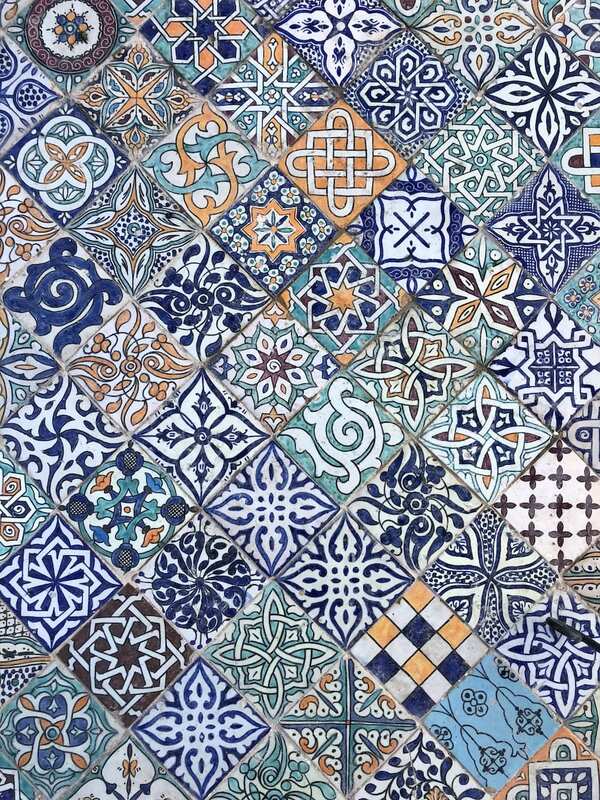 My husband and I are thinking of Morocco in May and are super excited. 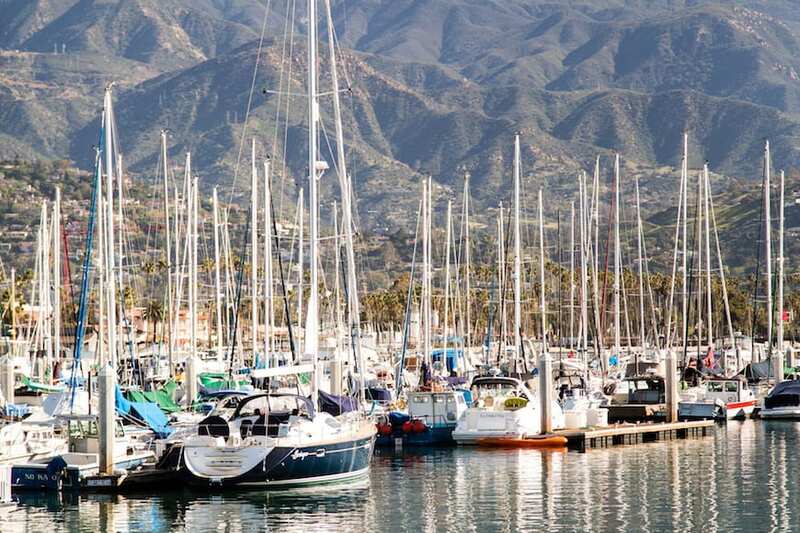 Is there anywhere you wish you had included (or not included) in your itinerary? Anywhere you would have stayed shorter or longer? Did you do any at all of your adventuring without a guide? Chefchaouen is a decent drive from fes (about 4h) or just a two you drive from Tangier, which also has some nice highlights! If you ever make it back there is a chill small city on the Atlantic coast Essouria- small and beautiful ruins and a nice beach. Hassan mosque in Casablanca is stunning at sunrise. 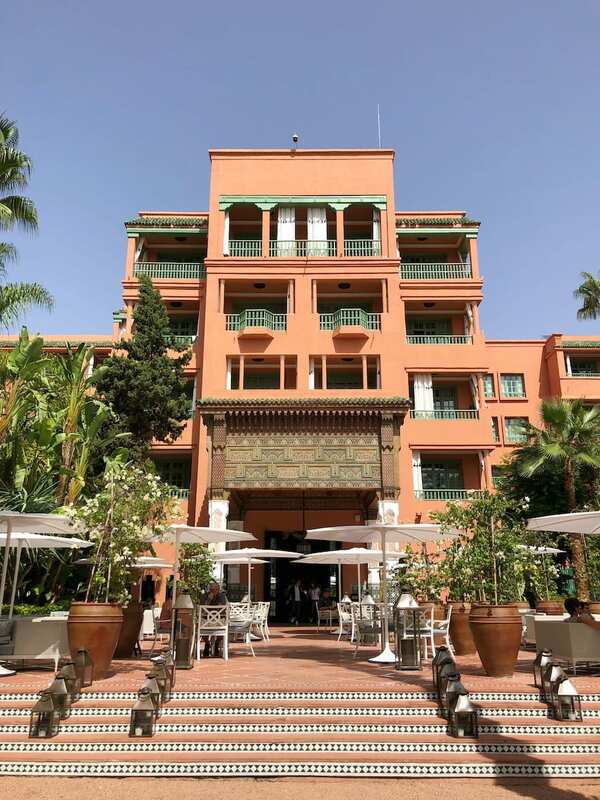 Thank you for bringing back nice memories of Marrakesh and Fez. Some day I hope to make it to Tangiers. Thank you for sharing!! This is on my travel list this year. Were all of your guides from Wilderness Travel? An amazing and very special trip!! 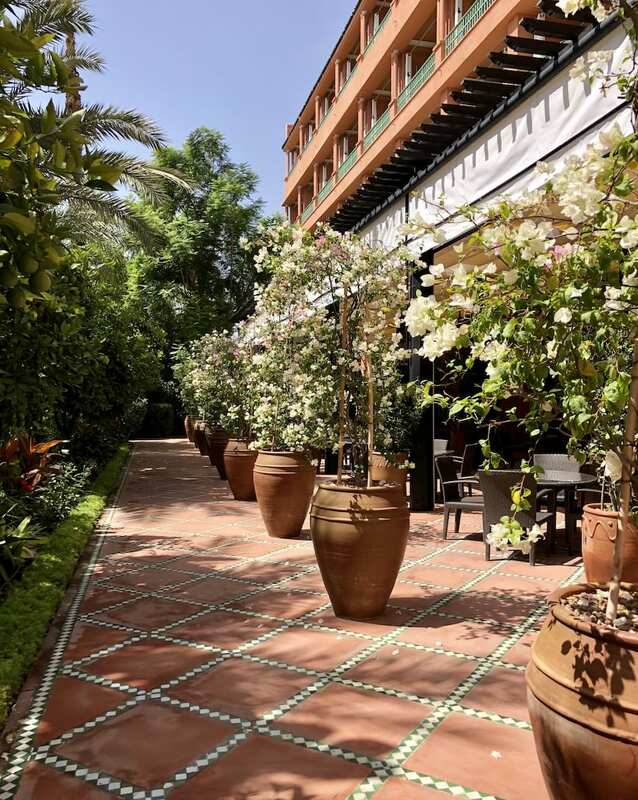 Also some good cooking schools…at Arabe Hotel in Medina. I too, years ago was at Londolzi, best memories!!! I am going to Bali w/ my kids in April for my 60th, have you been? Any rec’s???? Those sand dunes look incredible!!! Thank you! 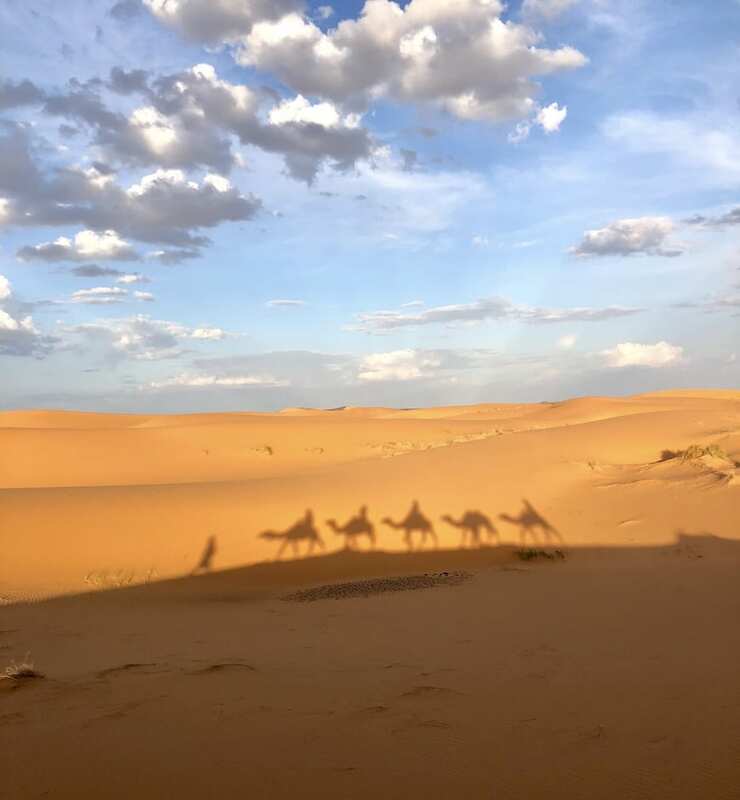 Your post and photos brought back the vivid memories of my trip to Morocco. LOVE! Thanks for sharing all of this! 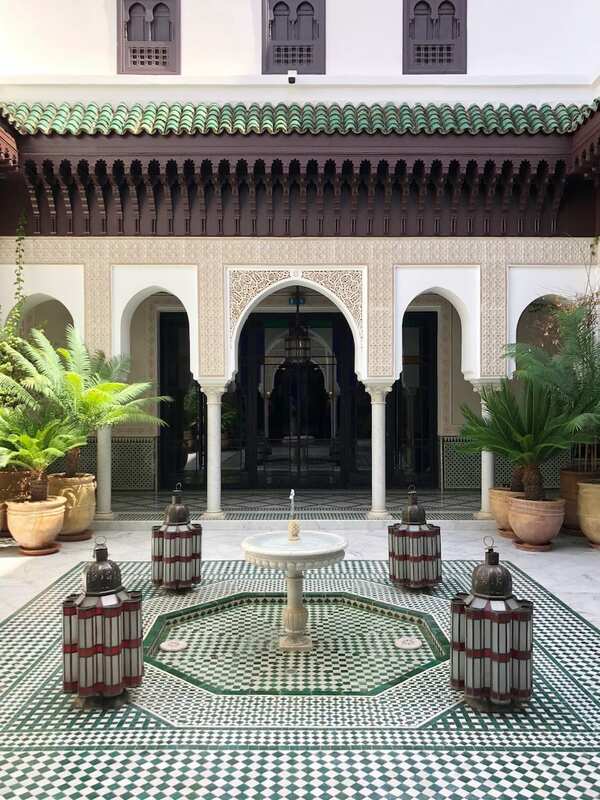 My fiance and I are planning on Morocco for part of our honeymoon and I will definitely be referencing back for inspo! 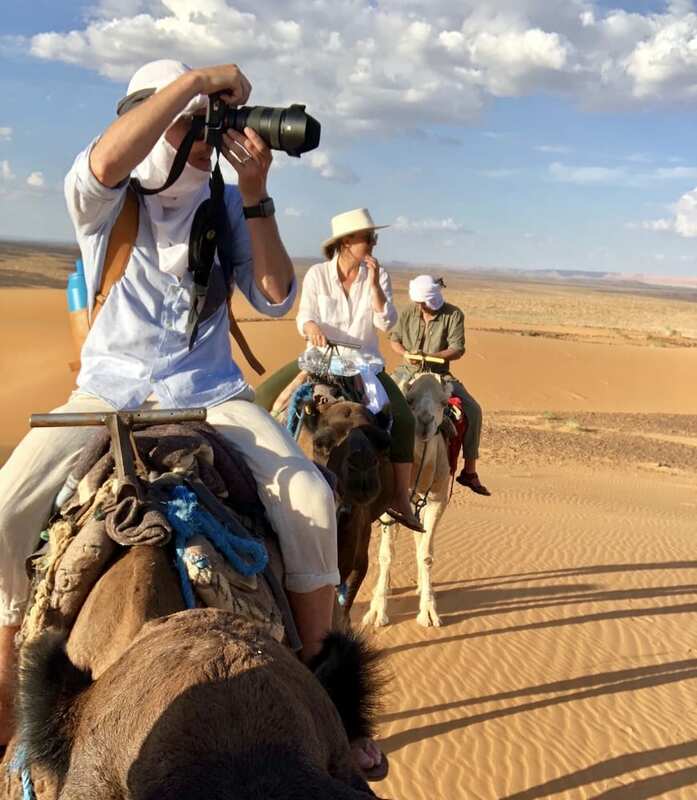 Was Mark Gordon your guide on the Moroccan tour? Hi Gaby, this is so awesome, thanks for sharing. Trying to convince my fiancé to honeymoon here. Question-did you use English or another language? How easy was it to get around if you don’t speak French, Arabic or anything else? most everyone speaks english in hotels – and we had an english speaking guide the whole time which was mega helpful!! Thanks for sharing your adventure! My girlfriend and I are thinking about going to Morocco, she wants to go in February which looks like it would be chilly? What time of the year did you go? We traveled with your parents on the trip to Machu Picchu and had a blast!! Of course it was because of a tennis trip too! That’s usually the only way to get my husband out of the country!! 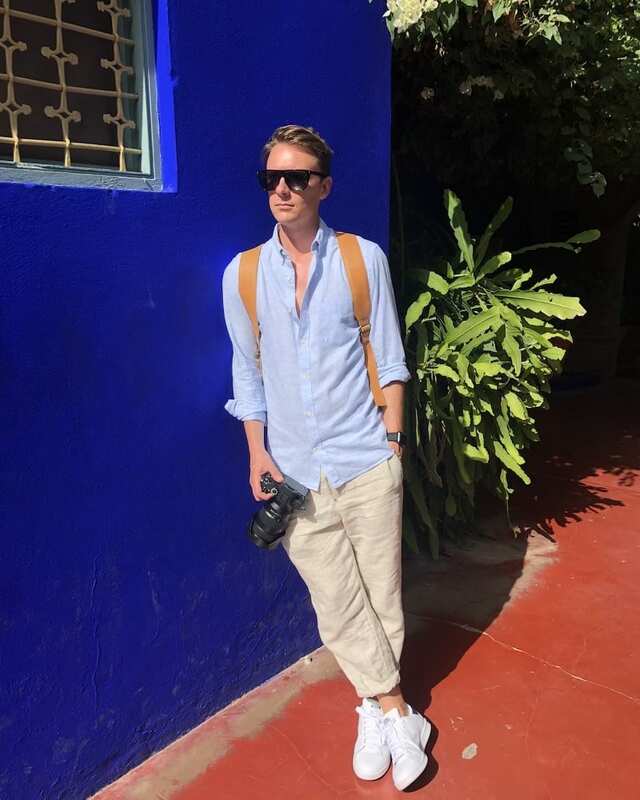 Planning a short three day trip to Morocco – would you recommend I spend my time in Fez or Marrakech? is there anywhere where we can see thomas’ photos?? 🙂 they look awesome! Once he puts them up on his portfolio, I can share a link! For the desert tour, can you recommend who you booked or arranged it with? 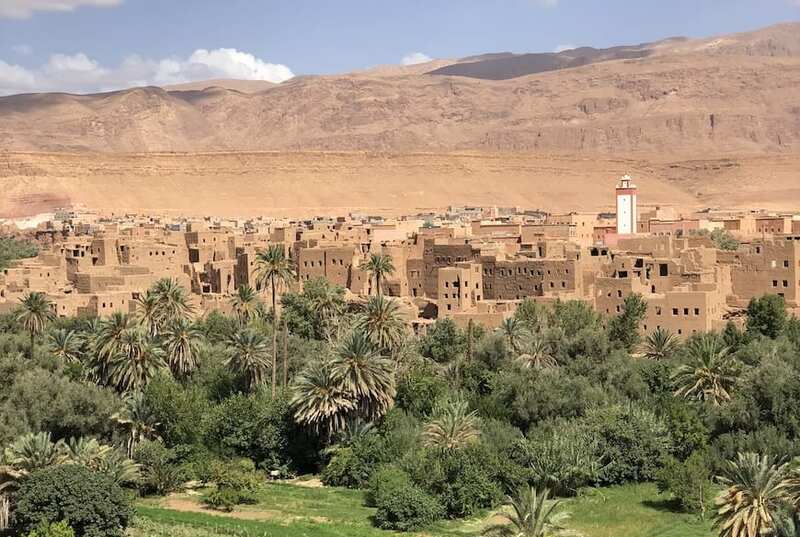 My husband and I will be heading to Morocco in June for my birthday and I would love to add this to our list of places to visit when we’re there. Thanks! it was all through Wilderness Travel! Did you feel safe as a woman in Morocco? I’ve read some mixed reviews and I’m quesitoning our plans of taking our family which includes two older teenage girls. 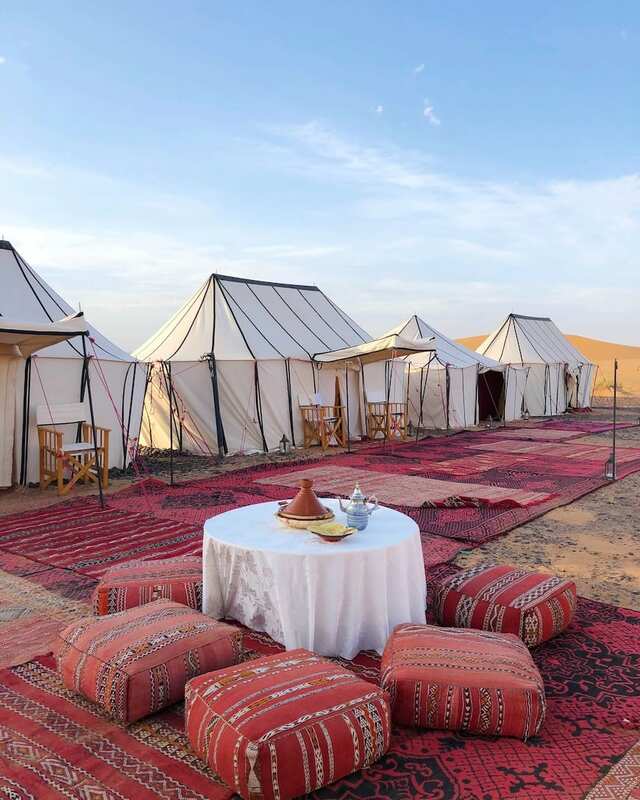 We would be doing Marrakech and then the trek to the desert for an overnight tent stay. Where, specifically, did you buy things (such as ceramics, serving plates, kitchenware etc.)? Your guide is amazing! we did all our rug shopping here: https://www.instagram.com/lahandira/ and they shipped them home for us!! I carried some pillow cases on, but all the rugs got shipped via the store! Thank you so much for this great guide! What was your dress code while you were there? I’m trying to figure out what’s appropriate, as I’ve been told to dress “modest.” Thanks! modest is a great way to do it!! Great guide Gaby! 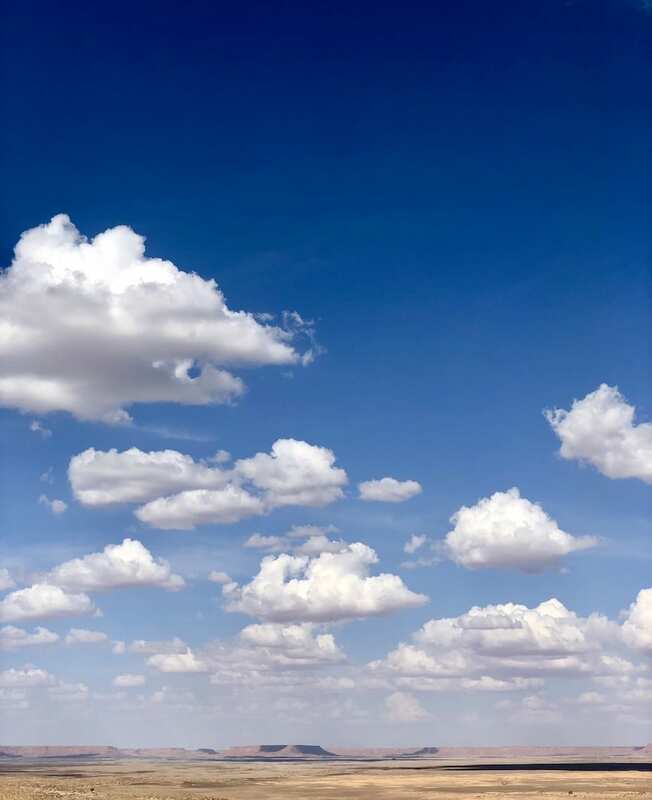 Going to Marrakech and the Sahara early September. Was the heat bearable? Especially sleeping in the tent in the Sahara? ya totally! it wasn’t bad! But I also grew up in Arizona so I’m semi acclimated to heat!